Keep your Longview home cool and comfortable all summer long with trusted air conditioning services from A/C Contractors. A/C Contractors is a locally owned and operated company specializing in the finest cooling solutions intended to improve your daily living and increase your home’s overall energy efficiency. Along with our exceptional products and knowledgeable services, we also provide lifetime product and workmanship warranties, free service estimates and 100-percent money-back customer satisfaction guarantees. At A/C Contractors, we specialize in the widest variety of air conditioner and cooling solution types and models, and we work closely with homeowners and new construction properties to find quality products to fit your lifestyle needs and budget. With A/C Contractors as your trusted source for air conditioning installation, you receive superior results for lasting indoor comfort. The team at A/C Contractors knows how important reliable and complete cooling is for homeowners throughout East Texas. We offer the largest selection of efficient, dependable and affordable air conditioning installations and replacements to ensure your cooling system operates smoothly during the intense Texas heat. If your air conditioner isn’t functioning as reliably as it once did or you’re looking for a new energy-efficient cooling upgrade, then work with one of our knowledgeable technicians to explore your air conditioning system installation options. Central Air Conditioning Systems: These conventional, effective air conditioning systems use either a split system with outdoor cabinet or a packaged cooling unit and a series of supply and return ducts to circulate cool air throughout your home. Heat Pumps: Heat pump cooling alternatives are the best system for environmentally conscious air conditioning efforts. Heat pumps closely regulate the temperature inside your home, then absorb excess heat and release it outside as condensation. With a heat pump cooling system, you can greatly save on monthly electricity expenses. Ductless Mini-Split Systems: A ductless mini-split air conditioning system uses individual units to keep specific rooms in your home cool. With a ductless mini-split, you won’t have ductwork to transfer airflow and can reduce maintenance needs and energy costs. 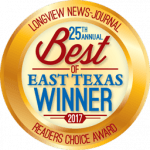 When you rely on A/C Contractors as your trusted local air conditioning installation and replacement experts, you’re guaranteed the most convenient, knowledgeable and skilled services throughout Longview and Tyler, TX, as well as their surrounding areas. For over 25 years, our team has provided homeowners with dependable custom air conditioning solutions designed to meet your specific needs and budget. All of our services are completed by highly trained and experienced professionals using the best tools and equipment available, and all our work is guaranteed. Schedule air conditioning installation services today by calling 903-218-8068 or by filling out our online contact form to request a free service estimate.